If you start on an Easy map, then you’ll start skip to Chapter 2. You’ll start with a tree and some dirt. Your first bits of wood should go towards making a crafting table and then a few crooks. Using a crook to break leaves means you’ll get more saplings. Your second tree will give you enough would to make a barrel or two. A barrel allows you to compost saplings to make more dirt, or place it outdoors and you can catch rainwater with it. When you have a fair amount of dirt you can make a furnace using eight pieces of it. This will allow you to cook sticks into ash. You can use ash to make trees and crops grow faster. It’s not as good as bonemeal, but it helps with the boredom. If you sift dirt, you will find some tiny stones. The stones aren’t much, but they can add up to cobblestone blocks. A wooden hammer will break cobblestone into gravel, sand, and dust. Dust can be mixed with a barrel of water to create clay. Clay can be mixed with bonemeal and ash to create a much harder and water-tight type of clay called porcelain. Porcelain clay, once it is molded and fired can be used for buckets or a crucible, which is the key to the next chapter. Once you have successfully created a crucible, place something hot under it. You can do this with a torch, a burning furnace, a bit of lava or an actual flame. Add cobblestone to the crucible and wait. Once you have given enough of both stone and time, you then can use a bucket to extract some lava. Lava from a crucible, and rainwater from a barrel will allow the construction of a cobblestone generator. Now that you have a cobblestone generator, you can begin to build up a surplus of stone materials but metals remain rare. Zombies will occasionally drop iron ingots when killed by a player or you can sift gravel to get rust. Purifying rust in a furnace will also give you an ingot of iron. At this point you’ll probably want to set up some farms, but for that you’ll need some plants to get you started. Zombies drop potatoes and carrots, creepers drop cactus when killed by a player, sugarcane be found while fishing. A few iron bars can be used to make shears which can greatly speed up dirt production. Composting leaf blocks allows the creation of podzol and sifting them allows you to gain saplings for new types of trees. If you didn’t start with oak trees then getting an oak sapling can be very useful because apples are a very welcome bonus when food is scarce. Eventually you’ll want to make your way to the nether. Use crucibles to create lava. You can build a frame of dirt and create your nether portal frame layer by layer using alternating buckets of lava and water. Another option is to make a barrel of a non-flammable material like glass or stone which will allow you to make obsidian blocks. Simply add a bucket of lava to your barrel and shift+click a bucket of water on top. It’s messy, but very effective. Now that you’re in the nether you’ll need to exercise caution! Any block where the top surface is not a slab or a transparent block like glass will potentially allow ghasts to spawn. A ghast in a void nether world is a true nightmare to deal with! Build out from your portal at least 25 blocks, but make sure that you control the spawning of mobs as you go or recovery can become very very difficult. Make a small room, at least 7 x 7 x 7 blocks in size and remember to spawn-proof the ceiling. When you get far enough away from the room zombie pigmen will spawn, which is a good source of gold but not what you want. Rarely, a ghast will appear inside the room. When you have a ghast tear and eight gold bars, head back through the portal. On the other side, use the gold to make a golden apple. Then find two empty barrels. Into one barrel, put the golden apple and into the other put the ghast tear. Finish filling the barrels with whatever random compost ingredients you have available but be wary of zombie flesh. The golden apple will cause the compost to become grass and the ghast tear will become mycelium. I suggest taking them out of the barrels and giving each their own area to spread out. You can use bonemeal on the grass to grow flowers, or create tall grass which allows you to gain seeds of wheat. The mycelium can be sifted to gain spores. The fastest way to pick up mycelium is with a shovel enchanted with silk touch, but if you are patient then you can leave dirt inside a barrel and the mycelium will grow inside the barrel allowing you to pick it up. Spores can be added to water to create witchwater, or you can feed them to a cow to transform them into mooshrooms. Mycelium next to water or exposed to rain will spontaneously sprout mushrooms too, which can be a good source of compostable materials. The same effect occurs occasionally with cobblestone, only it generates moss instead. Witchwater, once unlocked, has several powerful uses. Firstly, it can be mixed with sand to create soul sand. Soulsand can be sifted to gain netherwart, which is required for many powerful potions. Also, any monster that touches witchwater will have it’s powers amplified. Most neutral or good creatures will die when they touch it, but a few will undergo terrible and dangerous mutations. Witchwater also has a very dramatic reaction to metals, corroding them away until only the purest metallic salts remain. These salts seem to have unexpected curative powers though. They can be mixed with water and the resulting elixir can be consumed to cure seemingly any poison or illness. It even seems to speed the healing of physical injuries. Now that you have netherwart, you can attempt to cure a zombie of it’s affliction. While the azoth elixir has no effect, a potion of weakness combined with a golden apple will drive the curse from the zombie and restore his sanity. A cured villager makes an excellent companion. Your new friend seems to have an uncanny gift for discovering emeralds laying around, which he will happily give you in exchange for some random things you have lying around. After some meditation on the nature of these jewels, you think there might be a way to convert them into a more durable form. It’s a grizzly and dangerous business, but the results are well worth it. You begin by severing the head from the body of one of your enemies. That head, once placed in a barrel of water to soak for a time, will become laden with a curious slime which can dissolve away impurities in gemstones. Add charcoal as a carbon source and squid ink to bind it. Then apply this black slime to an emerald to begin the transmutation. The black shell quickly becomes harder than steel and impossible to work with. It must be imploded off! You accomplish this by making a hollow obsidian cube with only the top open. 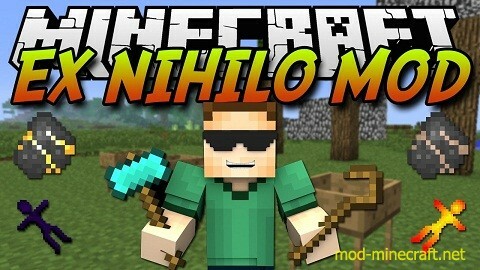 Inside you drop the black emeralds and above them you place a block of TNT. When the TNT activates, it will fall into the hollow. Quickly place another block above the emeralds so that they are enclosed on all six sides! If you’ve done it correctly, then the emeralds that were able to withstand the blast will be revealed to be diamonds of the highest quality and clarity. Further experiments with the black slime reveal another interesting property. When heated in a furnace it becomes a potent fuel source, nearly identical to coal mined from the earth.